Nicole Love, co-owner of Naturally Flawless Skin, has created a skincare line that is as refreshing and rejuvenating as it is natural. As a mother of 5 girls, Nicole understands firsthand the challenges that come with maintaining beautiful and healthy skin. 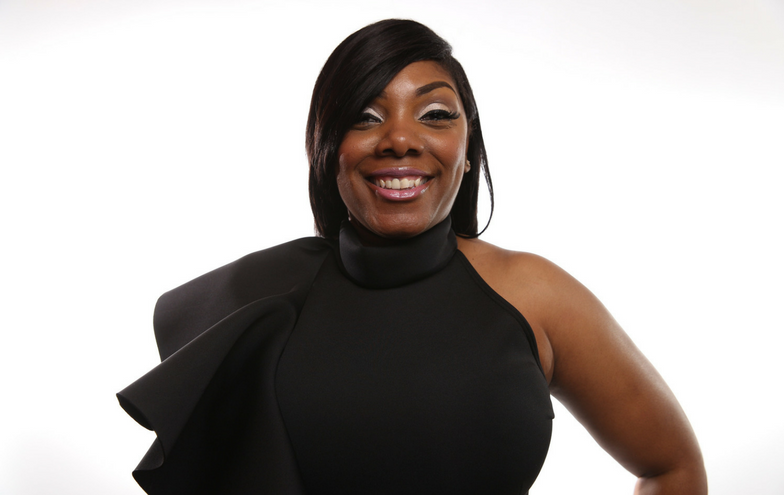 Along with her partner, Ka’Terra, Nicole uses natural ingredients such as almond oil and tea tree oil to develop products that are effective as they are gentle. CEOMOM interviewed Nicole to learn more about the vision of Naturally Flawless Skin. What inspired you to create a natural skincare line? I have always had combination skin where one day my skin would be really shiny in my T-zone. Another day the other parts of my face wouldn’t be as shiny, but I would break out. I got tired of buying over the counter items that weren’t doing anything for my skin. My business partner and I started putting together our own concoctions. We would use ingredients such as almond oil, avocado oil, aloe vera plants and tea tree oil. We started to see results. We decided to do this for everybody. I also have 5 girls. My oldest daughter is 17 and she hit puberty early. She started breaking out with dark spots on her face and chest. The store bought products were hurting her skin even more. She tried our products and started to see results. My 16 year old also started using our products as well as my 7 year old who has eczema. We started to make a plan to make our products affordable and available to everybody. We wanted something that didn’t have all of the harsh chemicals. It took about 3 years to custom formulate our products and get the business up and running. What makes Naturally Flawless Skin the perfect holiday gift? What holiday promotions are you running? Everyone can use it from women to children to men. Our toner is good for men because it can prevent razor bumps. Our cleanser, the honey and spearmint cleanser, has a minty feel. It deep cleans your pores and will leave your face feeling fresh. Our products are 99% natural. We are offering 25% off for the holiday season. We are also doing gift baskets. We want to introduce our skincare line as a gift or stocking stuffer. Is your family involved in any aspect of your business? How do you balance your time when it comes to managing a family of 7 and a growing business? You have to work hard and have determination to manage my household. My girls use the products all of the time. They post on their social media pages. That’s all they do. I want them to focus on school. My husband gives his input and promotes at his job. My day consists of waking up at 7 am. I have to drop my kids off at school. I work my 9 to 5 job while I am working for my business. I also work from home. I am either running to the store, making phone calls or returning emails. My day is busy from the time I hit the floor until everyone is sleep. With the natural skincare market becoming more saturated, how does Naturally Flawless Skin stand out from competitors? Our products are custom made, tested and formulated. We make sure our products are affordable and smell good. There are no toxins or parabens in the products. What are your favorite Naturally Flawless Skin products? We have a moisturizer which will be launching next week. 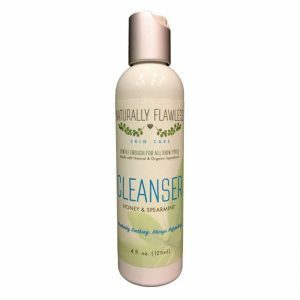 I love our cleanser, because it gives me that minty feel and sensation. I also love the moisturizer because it’s not too thick and it’s actually really light and leaves your skin feeling refreshed and soft, plus it doesn’t have a scent. Right now, we are exclusively online. You can purchase our products at http://www.naturallyflawlessskincare.com.